Welcome to the Mohawk Flooring complaints department brought to you by HissingKitty. Experienced poor customer service? We make it easy to file a formal complaint against Mohawk Flooring online. Simply use our free form and your feedback will be instantly forwarded for review. Need to contact the Mohawk Flooring corporate office? We have the mailing address, phone number, and email address listed below. We purchased a new home in December 2016 here in Murrells Inlet, SC. Our builder, Lennar Corporation, had Mohawk Engineered Hardwood installed 11/21/16 by Decor Corp Flooring 112 Highway 57 N Little River, SC 843-399-4019. The Engineered Hardware is Raleigh 5"/ Forest Lakes 5: color Oak Autumn. We have been given the run around from our builder since day one regarding our flooring problems. Our floors were scratched and dented from our original move in and have only continued to deteriorate. We were told we would have the opportunity to evaluate at our 6 month inspection and then again at our 1 year point. At our 6 month inspection the gentleman from Decor Corp went around our home & used a Wood Finish stain marker to fill in the deep scratches as well as the surface scratches and told us to hold off on doing anything further until our year inspection. In January we had our 1 year inspection and was told by a Lennar supervisor that our floors look good and that these problems are just normal wear and tear and if we wanted to pursue this further we could contact Mohawk flooring directly. Decor Flooring did come in several times to address some hollow areas, but was not able to do anything with the deep scratches, surface scratches and dents. We were told that if we had boards replaced it would compromise the integrity of the flooring in general. We feel there is a problem with the quality of these floors. We have owned five homes and have never had such issues. We would like a representative from your company to evaluate our problem. Please contact us by email or by phone @ 412-848-5794 or 412-592-8712 as soon as possible. We would like to get this issue resolved in a timely manner. I received great customer service yesterday in flooring! (almost fainted) My complaint is more directed at management or who ever is making decisions in flooring. As a 40 year contractor I find your lack of basic "BASIC" knowledge inexcusable! Ive sent my wife down to pick up padding glue on several occasions, (which for some unknown you no longer carry) and you suggested "all purpose" glue.. WOW! I can't even begin to explain how dumb that is! she went down just now to get "BASIC" straight blades for my cutter... nope. But Home 4 less had them and padding glue! The lack of inventory and experience is maddening!! Really unprofessional. And that starts at the top! You give your employees little to work with and unprofessional advice while you hide in your office on a perpetual "lunch break" ... pitiful ... its tough enough having 19 year old "associates" try to school me on a trade Ive been in for years, but when management is this disconnected. Thank god competence still thrives in Bakersfield! My wife and I had 3 rooms measured for 72hr Mohawk Flooring carpet installation on Monday December 7, 2015. The order was accepted on Tuesday the 8th which means installation should've been completed NLT Friday December 11, 2015. Our options were limited due to time constraints placed on us by Home Depot concerning carpet options. We were contacted and told even though we had ordered the 72hr carpet, installation wouldn't be done until Sunday December 13. We were told a block time of 1pm-3pm. I was there until 3:40pm and no-one showed. At 4pm I returned home to my wife informing me the installers were there and needed some-one to unlock the house. My hallway light fixture was knocked off the ceiling and I had to point it out to the supervisor because the installer who knocked it down acted like nothing happened. My wife called store# 2003 and was told Andrew would call her back today on the 14th to accept her complaint...no-one called. If this is the kind of service we can expect from Home Depot we will give our business to your competitors. I have had nothing but poor service from this store since I placed my order for Mohawk Flooring installation. It took almost 1 1/5 hours to order the flooring. I explain at the time that I am not living in the home and live 1500 miles away but I am trying to get the floor replaced to place the house on the market. I was assured this would not be a problem and it could be worked out. After I have spent $1700 for flooring, delivery and installation I am then told I have to be present (spending yet another $1000 to travel to Crescent City, CA) for the delivery and thus delaying the delivery an additional seven weeks from Mohawk corporate. If I had know this would be an issue I would have done the installation myself and just spent the money to get to California. Would have saved me about $1500. This has been the worst customer service experience I have every had with the Crescent City store, which is saying a lot given the lousy customer service to begin with at that location. Know it will cost more and be delayed longer which may cost me the sale of my house. Legal action is something I may have to look into given the representations which were made. Moreover, when you call the pro desk or the front desk the employees are rude, brusk and it is obvious they do not want to waste their time talking with you on the phone. 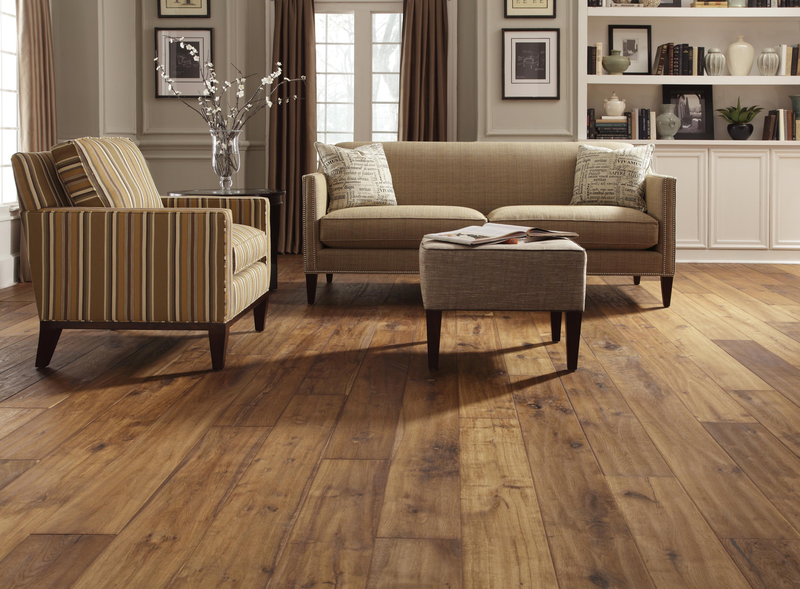 Have feedback for Mohawk Flooring?